This is one of those things that one would love to do, but never seems to happen. When it does happen, here’s a tutorial on using Pepakura Designer to make the unfolding process go smoother and hopefully faster. 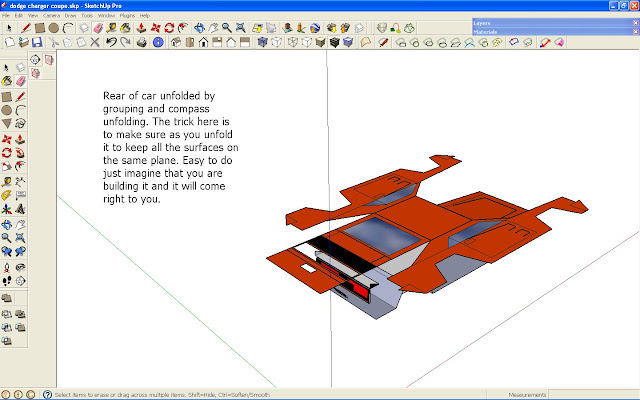 This entry was posted in 3D Models, 3D Tech, Artists, For Fun, Kirigami, Origami, PaperCraft, Reviews, Tools and tagged 3D Models from paper, japanese software, Paper craft, papercraft, Pepakura Designer. Bookmark the permalink.